Information technology (IT) and the Internet are major drivers of research, innovation, growth and social change. 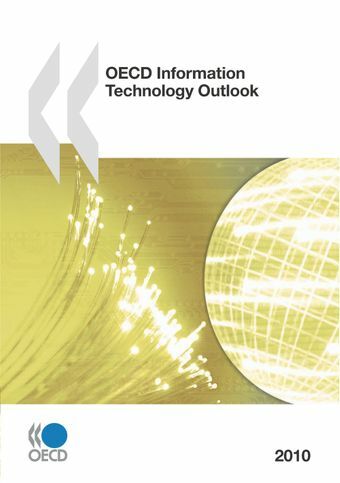 The 2010 edition of the OECD Information Technology Outlook analyses the economic crisis and recovery, and suggests that the outlook for IT goods and services industries is good after weathering a turbulent economic period better than during the crisis at the beginning of the 2000s. The industry continues to restructure, with non-OECD economies, particularly China and India, major suppliers of information and communications technology-related goods and services.The role of information and communications technologies (ICTs) in tackling environmental problems and climate change is analysed extensively, with emphasis on the role of ICTs in enabling more widespread improvements in environmental performance across the economy and in underpinning systemic changes in behaviour.Recent trends in OECD ICT policies are analysed to see if they are rising to new challenges in the recovery. Priorities are now on getting the economy moving, focusing on ICT skills and employment, broadband diffusion, ICT R&D and venture finance, and a major new emphasis on using ICTs to tackle environmental problems and climate change.